Judges; Howard Stern, Sharon Osbourne, and Howie Mandel. AMERICA’S GOT TALENT Welcomes you back with twelve great acts; Clint Carvalho and His Extreme Parrots, Reverse Order, Rudy Coby, 7 in Unison, Drew Erwin, Melinda Hill, Bria Kelly, Cast in Bronze, Eric Buss, The Magic of Puck, Romeo Dance Cheetah, and Academy of Villains. Let’s see how the performances went! 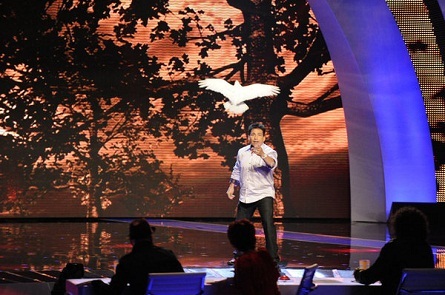 The first act of the evening is Clint Carvalho, who brings a collection of talented parrots to the stage. 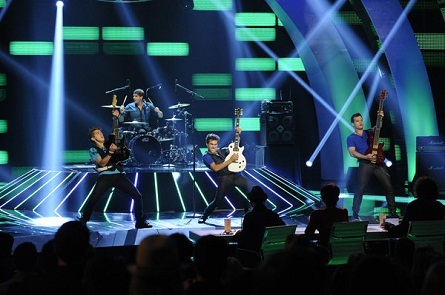 Brother-band Reverse Order takes the stage next, hoping to sing their way into the semifinals. After a 14-year performing hiatus, magician Rudy Coby takes the stage to show America that he’s still got it. The talented girls of 7 in Unison are hoping to dance their way to AGT’s million-dollar prize. Drew Erwin brings his amazing vocal and musical skills to the AGT stage, searching for a spot in the semifinals. Melinda Hill is a stand-up comedian who’s hoping to joke her way into the semifinals. 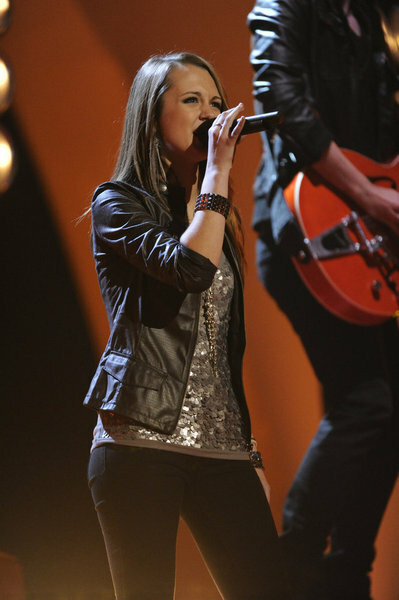 Bria brings her amazing voice to the AGT stage for a shot at the million-dollar prize. 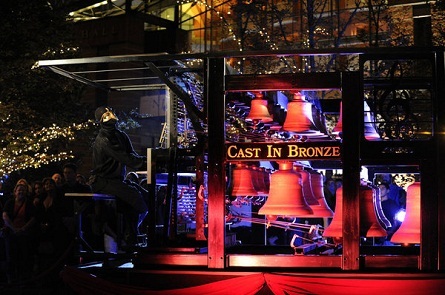 Mysterious musician Cast in Bronze brings his carillon instrument to the stage to battle for a spot in the semifinals. Eric Buss uses wacky inventions in his comedy routine, battling for a spot in the semifinals. 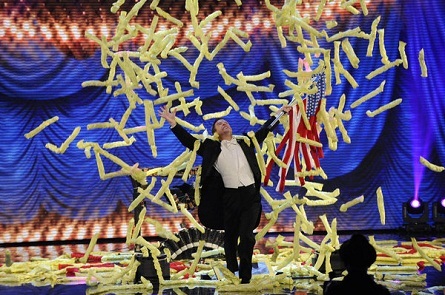 Puck brings an impressive array of magic tricks to AGT, hoping to challenge Eric Dittelman in the AGT semifinals. 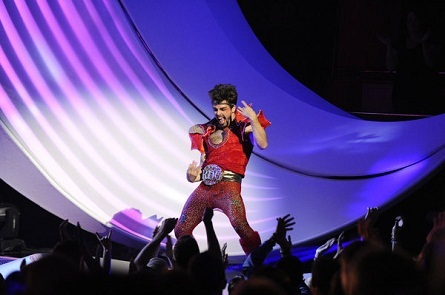 2010 U.S. Air Guitar Champion Romeo Dance Cheetah takes the stage next, hoping to impress the crowd with his amazing air guitar skills. Hip-hop dance crew Academy of Villains brings an amazing, energetic dance performance to AGT.